Naruto is an anime and manga series created by Masashi Kishimoto centered around a loud, hyperactive, young ninja who is in a constant search for both approval and recognition, and with a great aspiration to become Hokage. First published as a manga series in Japan by Shueisha in the 43rd issue of Shonen Jump magazine in November 1999, the Naruto series has risen in popularity exponentially and has since been licensed in the USA (becoming VIZ Media's top selling title) and nearly two dozen other countries, with the anime series currently airing in 18 countries. Although the anime series debuted on TV in Japan on October 3rd, 2002 nearly three years after the manga series first appeared it has quickly caught up, as each episode can cover up to two chapters. To prevent the series from being pulled off of the air and cancelled completely with no official story to base it upon, as had been the fate (and death) of other anime such as Rurouni Kenshin, the decision was made to produce original content for the anime series to allow the manga time to get far ahead and keep Naruto fresh in the minds of its many fans. Starting with episode 136 there has been over a years worth of filler episodes which tend to cover the supporting characters of Naruto who may not otherwise be seen often. New episodes of Naruto air every Wednesday night during the Golden Time slot at 7:27PM, and movies based upon the Naruto anime series have been released every Summer since 2004. 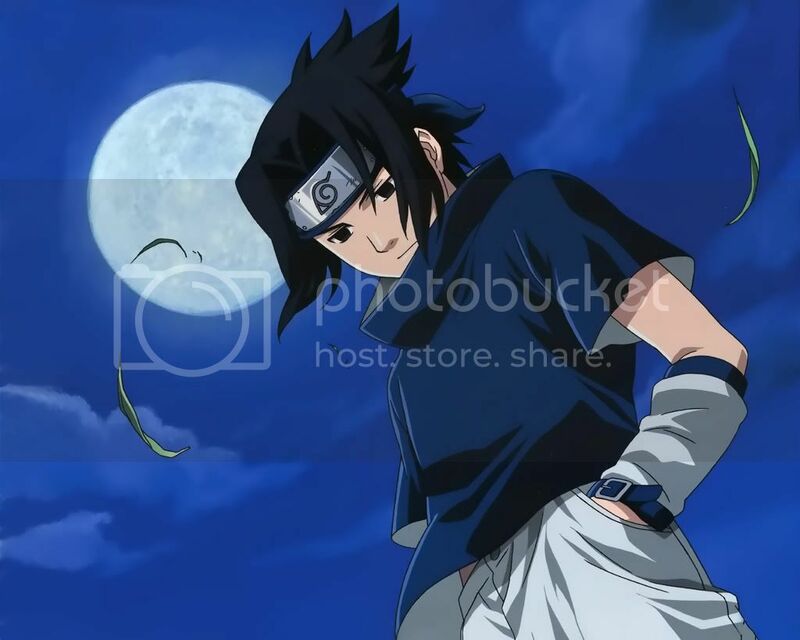 Naruto made his first English debut on September 10th, 2005 in an hour long premiere on the US cable channel Cartoon Network during the Toonami timeslot at 9PM, followed by an hour long encore (repeat of the first two episodes shown previously) at 10PM. Currently a new episode of Naruto is shown every Saturday at 9PM with an encore presentation at 2AM, along with reruns airing at 10PM Monday - Thursday. It had been announced previous to the premiere that Naruto would hit Canada (a less editted version than the American) before airing in the USA, on the 9th of September, however, due to licensing agreements the premiere was forced back until the 16th on the Canadian YTV. In the United Kingdom a much more heavily editted version of Naruto airs at 8PM on Jetix. Twelve years before the start of the series, a Kyuubi (nine-tailed fox demon) attacked the Hidden Leaf Village. A swing of one of it's mighty tails could raise tsunamis and flatten mountains, chaos reigned throughout the village as it killed many people, until the leader of the Leaf, the Fourth Hokage, defeated it by sacrificing his own life to seal the demon inside a new born child, that child is Uzumaki Naruto. The Fourth Hokage would forever be celebrated as a hero for sealing the Kyuubi and saving the entire village. It was his wish that Naruto would also be respected in the same way he would be, however, this was not the case. Everybody in the village avoided Naruto, regarding him as nothing more than the evil demon fox. The Third Hokage made it a rule within the village that other villagers were forbidden from mentioning this event to anyone, even their own children, however because of the way their parents treated Naruto, they mistreated him as well throughout most of his childhood. As a result of this Naruto grew up as a lonesome orphan, without friends, family, or acknowledgement of any sort. Nobody would pay any attention to him, so he sought attention in the only way he knew how, through pranks and mischief. However, Naruto's behaviour would come to change after graduating from the Ninja Academy by learning the technique of the Kage Bunshin no Jutsu to save his sensei Umino Iruka from certain death. Naruto learnt two things that day, that the Kyuubi was contained inside him, and that there was someone who cared about him, and understood how he felt. His graduation would become a changing moment and define his world for the rest of his life. All About Naruto - Did You Know? Did you know that the name of Uzumaki Naruto comes from a city in the Tokushima Prefecture of Japan named Naruto? The city of Naruto was founded on March 15th, 1947 and has a population of 64,257 and a density of 474.40 per km². Naruto is most famous for the Naruto Whirlpools (Uzumaki, hence Uzumaki Naruto), a famous tourist attraction. Naruto also is home to the Ryozenji and Gokurakuji temples, the first two temples of the 88 temples on the Shikoku Pilgrimage that are believed to have been visited by the famous Buddhist monk Kukai, who was born in Zentsuji of the Shikoku Prefecture in 774. The pilgrimage is 745 miles long (1200 kilometers) and traditionally walked, which can take up to 60 days to do completely. Those who do complete the entire pilgrimage are known as o-henro-san and are often recognizable by their white clothing, sedge hats, and walking sticks. Also in Naruto is the Ohnaruto Bridge, a suspension bridge on the route that connects Kobe with Naruto. Completed in 1985 the bridge crosses the Naruto Strait (location of the Naruto Whirlpools) and has a span of 876 meters (2,874 feet), good for being named the 25th largest bridge in the world.